We use hemispherical images of the canopy to calculate light availability for Isotria medeoloides orchids growing in different locations. Orchids are often rare and conservation requires also conserving their interactions with other species. The goal of this project is to better understand how orchids and their mycorrhizal fungi interact and to apply that knowledge to orchid conservation and propagation. A double-flowered a single-flowered Isotria medeoloides plant. Over 50% of the over 200 species of orchids that are native to North America are threatened or endangered somewhere in their ranges. Current attempts at orchid conservation have focused on land conservation because so little is known about the environmental conditions that orchids need. I am also involved in applying studies of orchid mycorrhizal fungi to orchid conservation. We are working on a project that has been funded by the U.S. National Park Service, the West Virginia Dept. of Transportation, and U.S. Army Fort A.P. Hill to identify the fungi associated with Isotria medeoloides and identify the factors that are contributing to its decline in the mid-Atlantic. Working at Prince William Forest Park, Monongahela National Forest, Fort A.P. Hill, and at a site in New Hampshire we have identified the mycorrhizal fungi and are now using specific PCR primers to examine the distribution and abundance of these fungi in the soil. Working with Rachel Rock-Blake as part of her masters project at the University of Connecticut, we have found that orchids growing in locations with more of the fungi they associate with and more available light are more likely to emerge above-ground and potentially flower than those in locations where their fungi are less abundant. 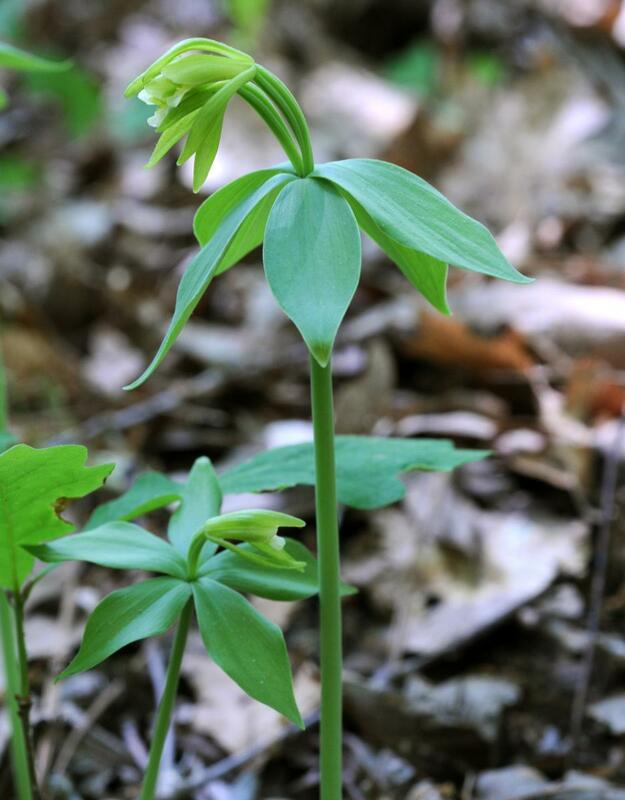 We are combining this information with modeling of plant population dynamics to understand what factors are driving declines of this rare orchid. This information is being used to inform decisions about factors affecting extirpation and sites and methods for restoration and was featured in stories on National Public Radio and Hearst Television and is contributing to the formation of the North American Orchid Conservation Center, based at SERC.